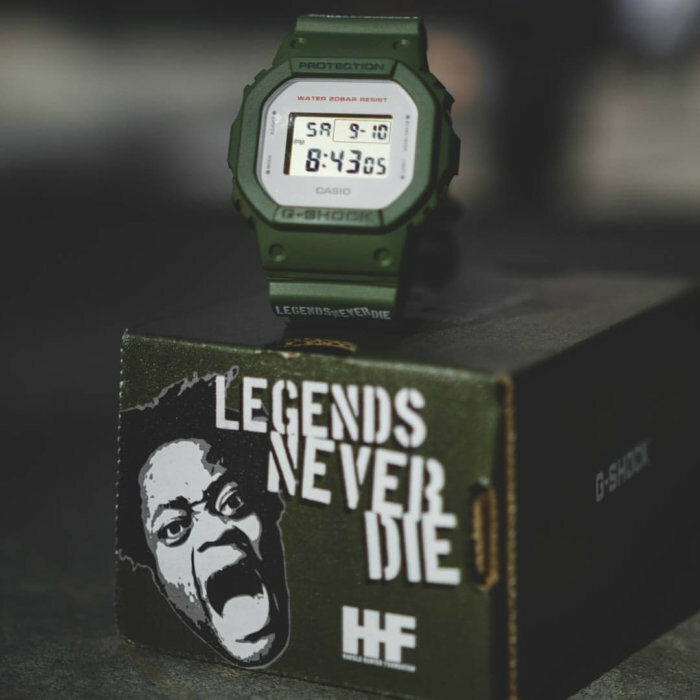 The G-Shock Soho Store in New York City is hosting an official launch party on Friday night, June 2, 2017 (8:30-10:00 p.m.) for the limited edition Harold Hunter Foundation x Casio G-Shock DW-5600 watch. 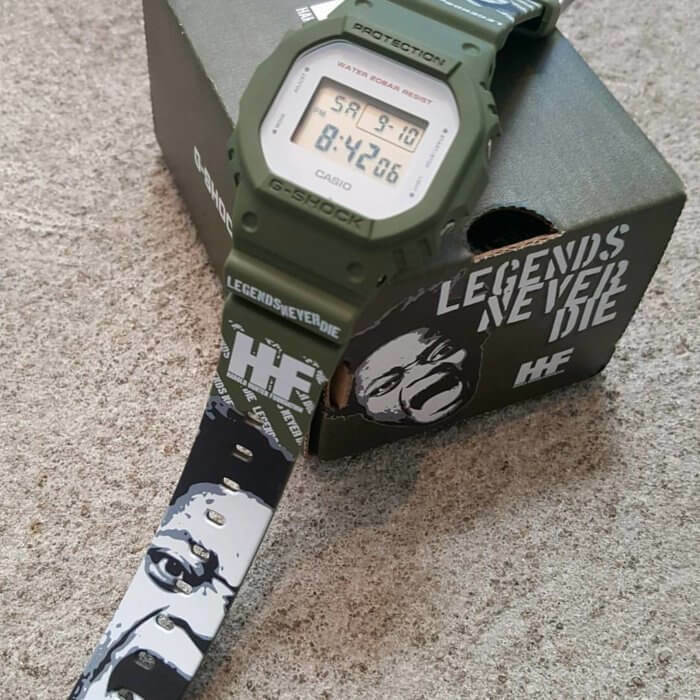 The watch is an olive green DW-5600M-3 with customized “Legends Never Die” bands featuring the HHF logo and an image of Hunter’s face. A special edition box is also included. Proceeds will benefit the Harold Hunter Foundation. New York-born Harold Hunter was a professional skateboarder and actor who is widely known for his role as Harold the Larry Clark film “Kids.” Hunter passed away in 2016 at the age of 31 from a drug-induced heart attack. The Harold Hunter Foundation was established in 2007 and provides support, opportunity, and advocacy for inner city youth and skateboarders.